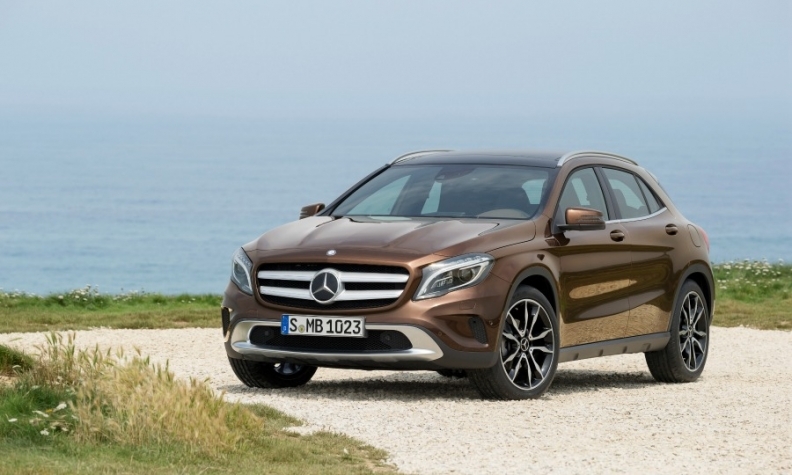 Mercedes has benefitted from sales of luxury SUVs in India. The GLA model is pictured. NEW DELHI -- India's cabinet approved raising the maximum levy on large cars, luxury cars and SUVs, Finance Minister Arun Jaitley said, adding that a panel of federal and state finance chiefs will decide on the timing of the increase. Any increase in taxes will impact luxury carmakers in India such as Mercedes-Benz, BMW Group, Audi, Volvo and Jaguar Land Rover. The levy is part of a nationwide goods and services tax (GST) launched last month to replace a multitude of provincial and national levies in the biggest tax reform in 70 years. Under the new sales tax, vehicles are mainly taxed at 18 percent or 28 percent with an additional levy of 15 percent on some types of cars. The cabinet passed an executive order, or ordinance, to raise the maximum levy to 25 percent from 15 percent, which could make large luxury cars and SUVs more expensive. "The ordinance is only an enabling law. This does not mean the cess (tax) will automatically increase," Jaitley said. He said the GST council, comprising federal and state chiefs, will be "entitled" to take a decision on whether to increase the tax within the permissible limit of 25 percent.